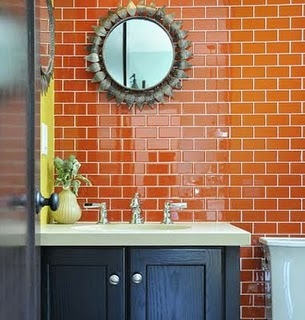 But I keep returning to this photo from HGTV. 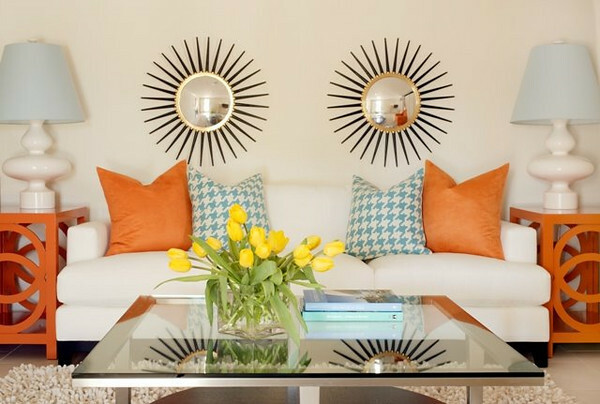 I couldn’t pinpoint what I really loved about it until recently, while browsing a fantastic blog called House of Turquoise (lucky her, it’s the Pantone color of the year, donchaknow). 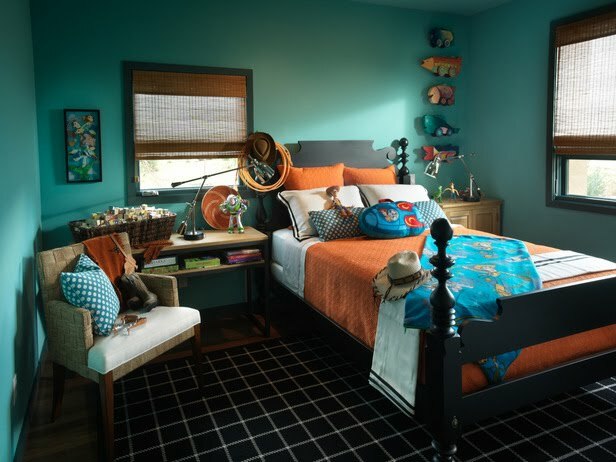 It’s a virtual look book jam-packed with turquoise-tinted interiors and matching accessories. 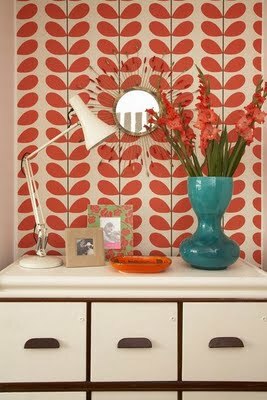 She has a folder heading titled “Turquoise and Orange” where I found the image below. Then I found some more. I just love this color combo. Because it’s not just blue, and not just orange. It’s a rich, deep brownish blue – darker than the traditional turquoise and lighter than a royal blue. And the opposite shade is a rich, deep, burnt carroty-creamsicle, darker than a peach but lighter than the old iMacs. The combo is truly unisex, neither really boyish or girly. 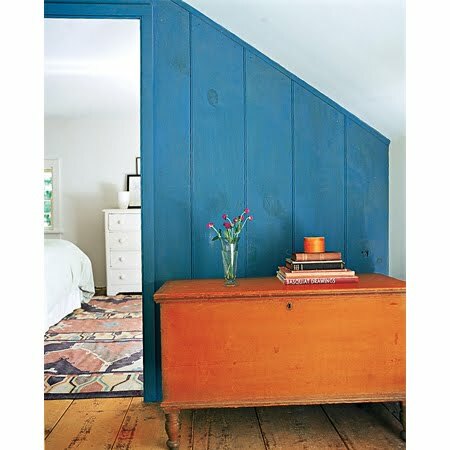 It’s just amazing to me how complementary colors can be so incredibly interesting, something I’d never consciously thought about as a foundation for a room. 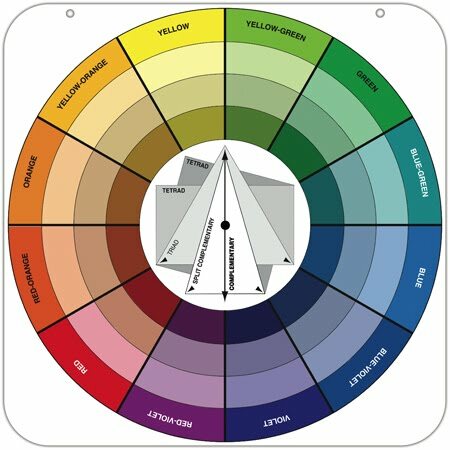 So next time you go paint shopping, find your favorite color, then check out its complement for bedding, pillows, rugs, or artwork. You might be happily surprised at how well it all comes together. UPDATE: I just finished this post and realized the color I’m talking about is the same as the RFYO bird logo at top. Weird.